Welcome to the 5-Sunburst, Award-winning Days Inn of Eagan, Minnesota! The Days Inn Eagan is located just a few miles from the world famous Mall of America and Minneapolis/St. Paul International Airport. Other area attractions include Xcel Energy Center, HHH Metrodome, Target Center, Minnesota Zoo, IMAX Theater, ValleyFair, Mystic Lake Casino, Canterbury Downs, Historic Fort Snelling, Minnesota Science Museum, and the Cascade Bay Waterpark. 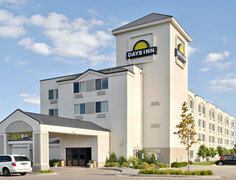 Visit and enjoy Eagan, Minnesota at the Days Inn. We look forward to having you stay with us!